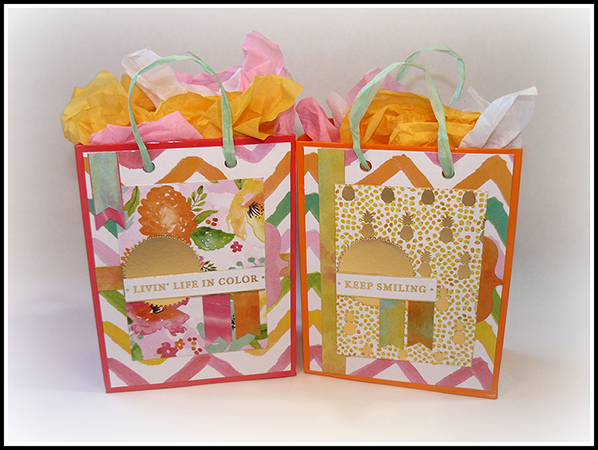 These bags are a wonderful way to make a gift more personal! 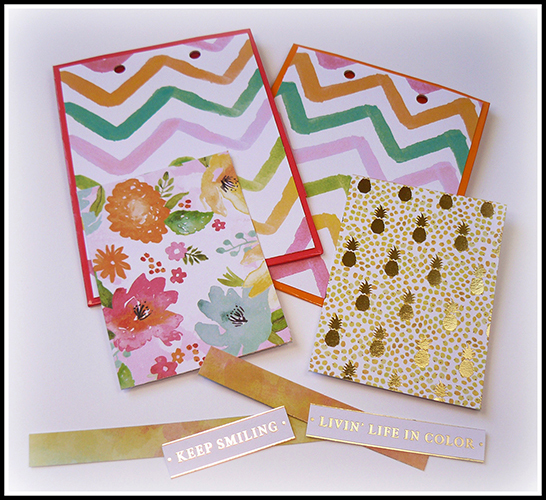 Select desired patterned card stock sheet(s) from the DCWV Watercolor Stack and a couple of plain gift bags. Disassemble the handle from each of the bags. Cut card stock ¼” smaller than the size of the gift bag face; adhere the card stock to the bag. Re-punch handle holes using the bag holes as a guide. Trim tags from the page in the stack. Trim decorative strips of papers and sentiments from another sheet in the stack. Add tags to the front of bag, layering them on top of a decorative strip of paper. Hand cut flags and adhere them to the bag as an accent. Add ribbon handle back into the bag. Punch the handle holes from the inside of the bag to the outside for best results. 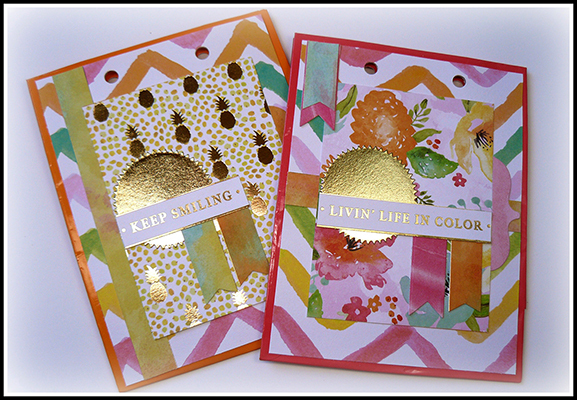 If desired, cut or punch circles from coordinating paper and adhere them to the tag as an embellishment.